Doubling down on its order for 100 high-capacity 737 MAX 8 airplanes in 2016, Vietnam low cost carrier VietJet signed a memorandum of understanding (MOU) for an additional 100 more 737 MAX airplanes with Boeing Commercial Airplanes (BCA) during the recent Farnborough Airshow 2018 in southern England. 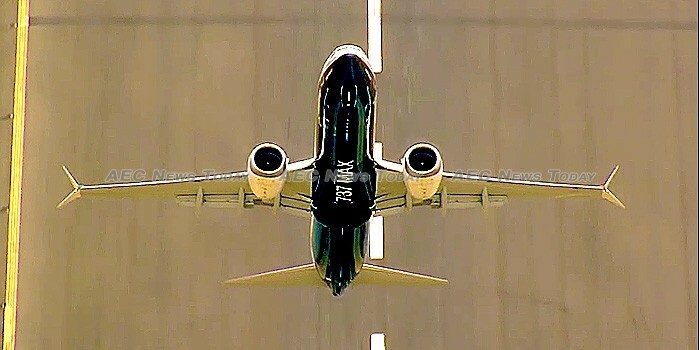 The additional 100 aircraft will comprise 80 737 MAX 10s and 20 737 MAX 8s valued at more than US$12.7 million, with delivery to take place between 2022 and 2025. Upon fulfilment VietJet will be Boeing’s largest MAX 10 customer in Asia. The company’s latest order is slated to propel carrier development through improved operating cost efficiency and longer range, enabling it to expand its route network. As part of the deal Boeing will implement a series of strategic partnership programmes designed to enhance Vietnam aviation service ecology, including the establishment of a Maintenance, Repair & Overhaul (MRO) centre, and a training centre for pilots, technicians, and engineers. In June Thai Airways International (Thai) and Airbus announced plans for an MRO at the ‘Aeropolis’ forming part of Thailand’s Eastern Economic Corridor (EEC). Additional programmes will be established for developing the management and automation capabilities of airlines and the Vietnam aviation industry generally. In an era where the balance of trade between nations is coming under increasing scrutiny the purchase will also help ease slightly at least the very large trade surplus in Vietnam’s favour in its trade with the USA. Not content with 100 new aircraft, just days after signing the Boeing order VietJet jumped over to the rival’s camp and ordered an additional 50 A321neo Airbus aircraft worth some $6.5 billion at list price. Since its establishment in 2007 the budget carrier has experienced rapid, if not uncontroversial, growth. An Hawaiian-themed mid-air dance to celebrate its maiden flight between Ho Chi Minh City and the tourist hub of Nha Trang saw the airline fined more than VND20 million (about US$1,000) by the nation’s aviation authorities. Early this year the airline again came under fire for parading bikini-clad ‘flight attendants’ (models) on a flight carrying Vietnam’s national football team heading home from China. In the wake of photos showing team members clearly uncomfortable with the scantily clad models the airline issued an apology. A long anticipated IPO remains stalled, with VietJet founder and CEO Nguyen Thi Phuong Thao blaming the fiasco on a “complex documentation process”. Separately industry observers point to a 30 per cent cap on foreign ownership under Vietnamese law and the fact that very few large companies list on the HCMC Stock Exchange (Hose) or the Hanoi Stock Exchange (HNX) as making Vietnam unattractive to big investors from the outside the country. Last month the Vietnam government proposed increasing the foreign ownership limit for airlines to 49 per cent, as well as removing the difference in charter capital between international and domestic airlines. Whether this is enough to see VietJet overcome the “complex documentation process” for its IPO to proceed is yet to be seen.